*** I really struggled to write this post, and I apologize for the length ahead of time. 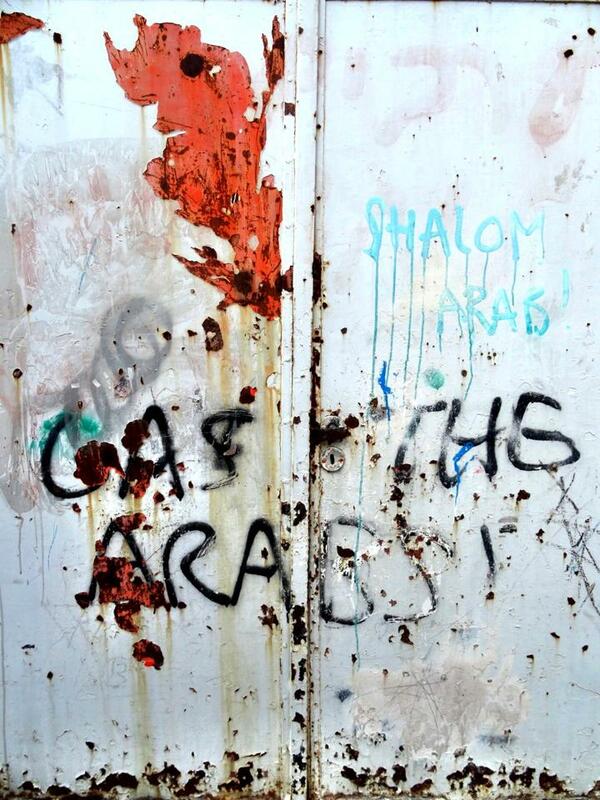 But if you want to understand what the occupation looks like from the inside, this is the entry to read. As part of our short vacation from working in Nablus, we decided to take a day-trip to Hebron. I was told that this was where I’d come face to face with the occupation. I was ready, but I wasn’t ready. But before I tell this story, I need to give a little background info: Hebron is one of the oldest cities in the world, and with a population of around 600,000, it’s easily the largest governorate in the West Bank. According to the bible, it’s the town where Abraham settled, making it an important religious site for all three major monotheistic religions (Abraham’s the guy who almost sacrificed his own son because God asked him to). Because of this, control of the town has been sought after by many groups of people dating back to the second millennium B.C., and most recently by the Zionist Labor Party of the Israeli government. Their mission was to occupy this city, and after the Six-Day War in 1967, they had their opportunity. The Labor Party seized much of the West Bank, including Hebron, and remained in control for decades. Then, with the Oslo Agreement in 1995 and subsequent Hebron Agreement in 1997, most of these cities were returned to Palestinian control (at least nominally) with one exception: Hebron. The city would be split into two sectors: H1, which is Palestinian controlled, and H2, which is retained by Israel. 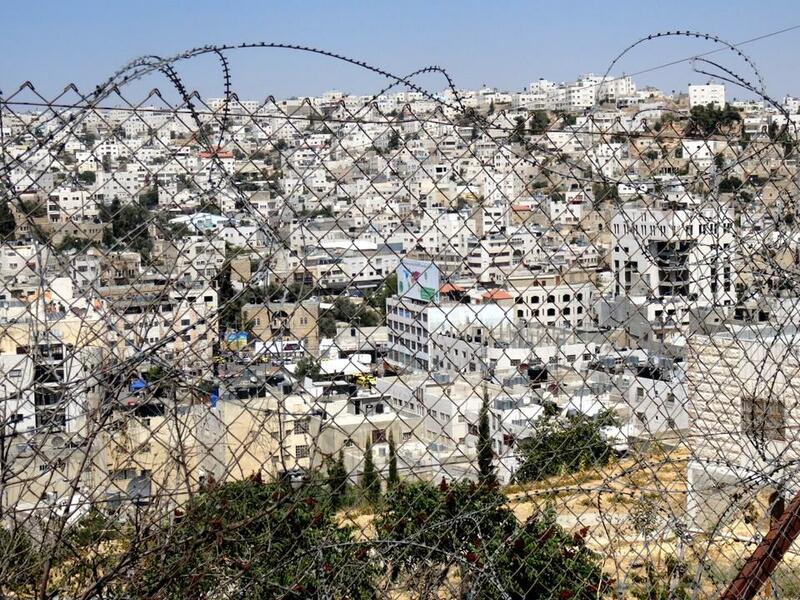 H2 occupies the middle of the city, and contains around 500 Israeli settlers and 2,000 IDF soldiers in four downtown settlements (that adds up to about four IDF soldiers per settler). These settlements are funded and protected by the Israeli government, and their primary objective is to secure a Jewish majority in strategic regions of the West Bank, despite their explicit prohibition in the Geneva Convention (read more about the legality and purpose of the settlements here). 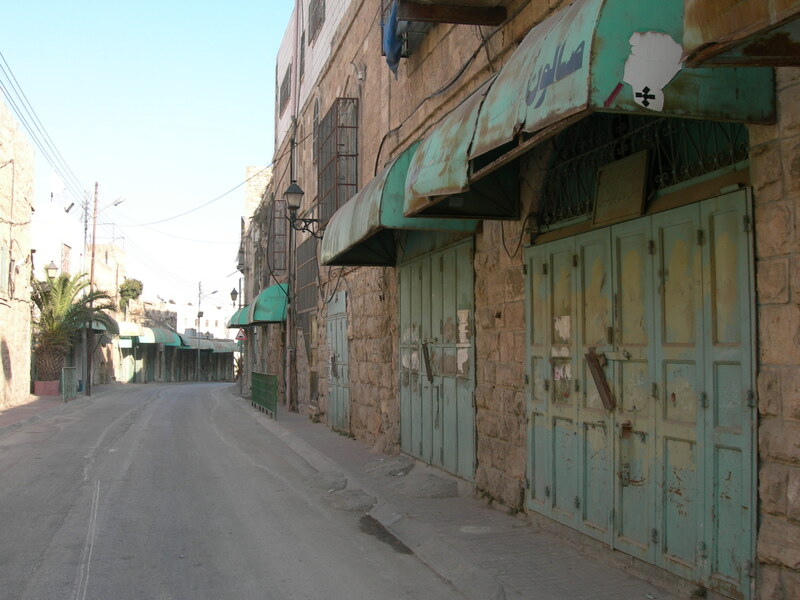 All movement in and around the area is restricted to Palestinians, and especially Shuhada street, where 1,829 Palestinian-owned shops have been permanently shutdown. 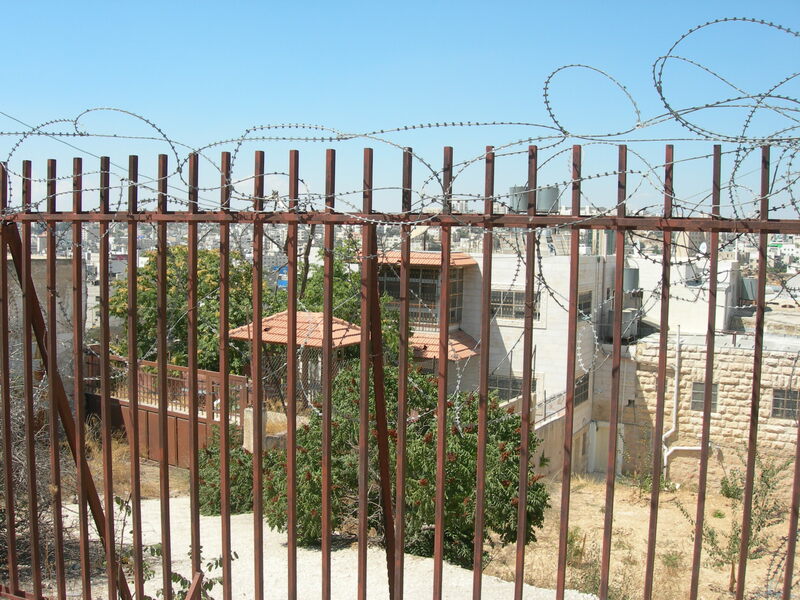 This means that the heart of one of the largest cities in Palestine is closed-off to most of its residents. 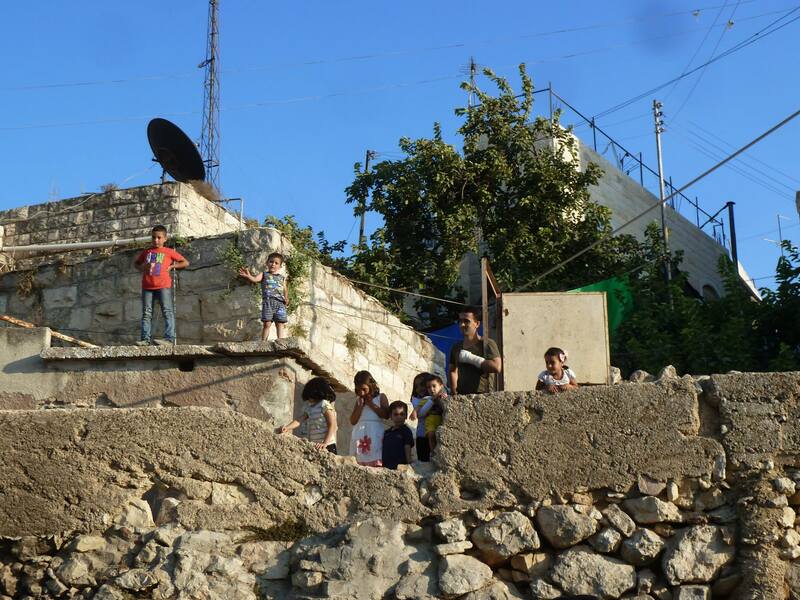 In their place, it houses one of the most hostile settler populations in the West Bank. This is the place where settler Baruch Goldstein massacred 29 Palestinians in 1994. Today, we would meet a Palestinian who calls these settlers neighbors. At first glance, Hebron looked the same as ever other town we’ve visited in Palestine. Bustling market place, falafel carts, traffic, etc. But then we entered the souk, and after a few intersections came up against a fenced-off, barbed and blockaded street. “H2 is past there,” a shopkeeper told us. Unfortunately, “past there” was where we needed to go. We were dropped off in front of an abandoned guard tower and a traffic gate. Hashem stood waiting on the other side, so we crossed over into H2 territory. As we walked with Hashem, he told us more about himself. He’s lived in Hebron his whole life, and is one of the few families who has remained following the settlement installments 20 yeas ago. After studying medicine in Jordan, he returned to Hebron to work as a physician, but can no longer do so due to his detainment within the H2 sector. Why exactly was he detained? 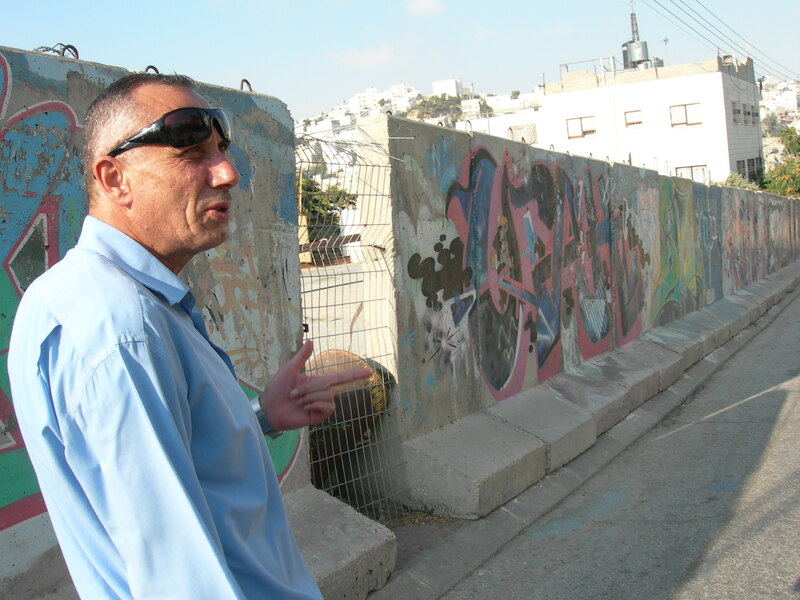 For leading tours like this one, where he shows foreigners what’s going on inside the settlements. “They called it ‘Anti-Semitic behavior. '” He looked at us, perplexed. “For showing people the truth! What do they even mean, ‘Anti-Semitic?’ Arabs are technically Semites!” (it’s true; not to belabor the point, but here’s the dictionary definition of a Semite). A bunch of children were sitting outside a school. They were a little wary at first, but at the sight of Hashem, they warmed to us and started practicing their English: “How are you! Where are you from!” Some even got up and showed off their dabke skills. They kicked, stepped, twirled, and then broke away and ran off, giggling. Hashem followed them inside; he volunteers here as a director of student activities. “I taught the women basic healthcare and sexual education, so they can teach their students. I trained them, so they know how to check for breast cancer. We have psychology classes, too, to help the kids cope with the settler attacks. They have a lot of fear; many can’t sleep in their own room, or even alone at all. 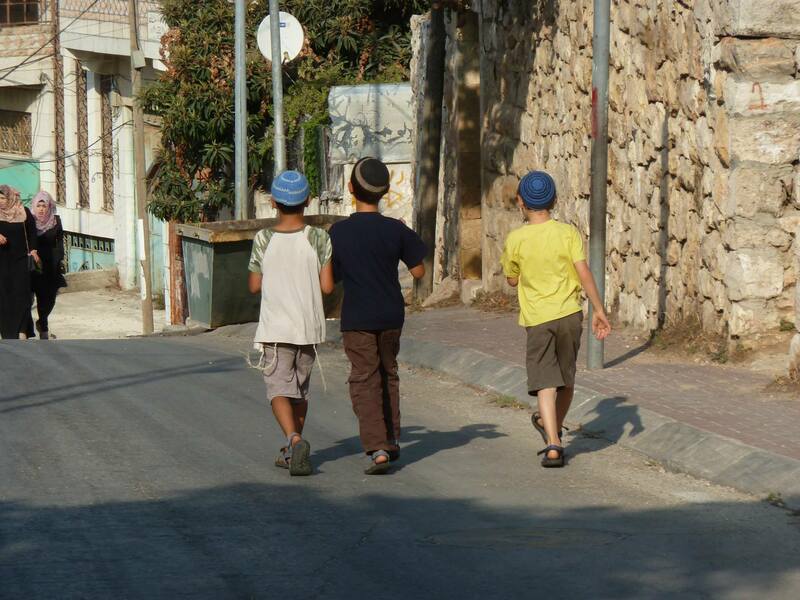 ” We asked Hashem what exactly these settlers would do to terrorize the kids. “I’ll show you,” he said. 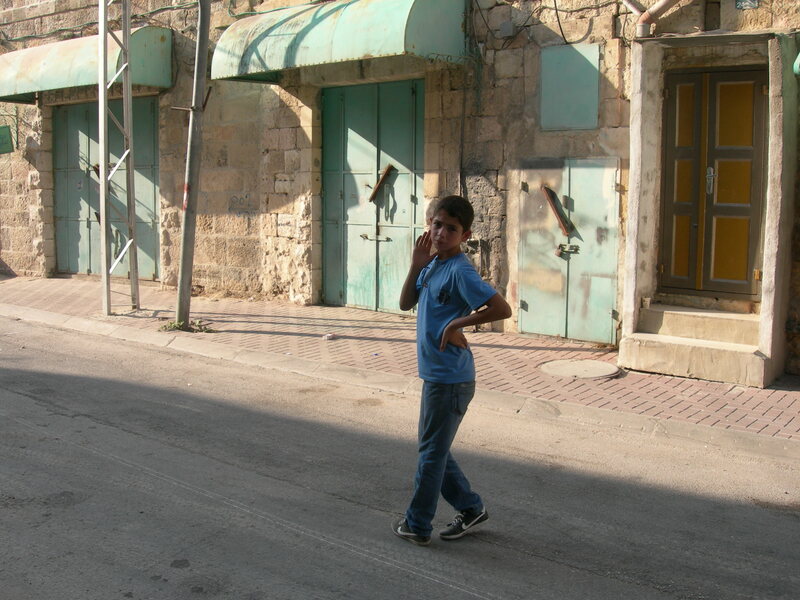 We walked away from the school and towards Hashem’s house. Along the way we passed an IDF soldier on the way, who eyed us suspiciously but let us by all the same. We stopped just before an orange house. “This is the settlement. These are my neighbors. They tried to buy my house from me twenty years ago, the way Abraham bought the Cave of the Patriarchs, to make me leave Hebron, but I refused. So after that, they turned to violence. The entrance to my house used to be this way, but they won’t let me cross, so now I have to take another way.” Then he turned down a dirt side path. It ran parallel to the orange house above us, and as we walked, kids ran out on the porch. They started yelling at us in Arabic and Hebrew. I couldn’t catch most of it, but I did understand “sharmouta.” It means “whore” in Arabic. 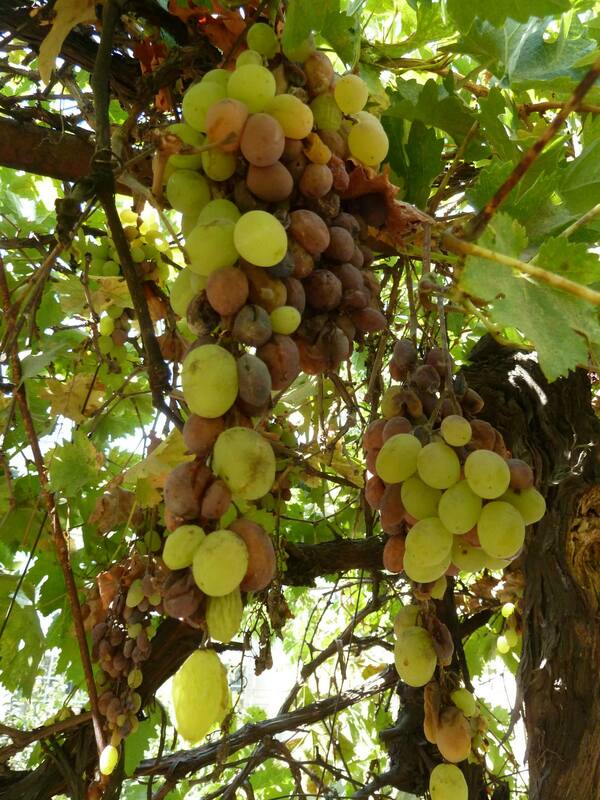 Hashem stopped under a grape vine. There were a few green ones, but most looked more like rotten raisins than grapes. 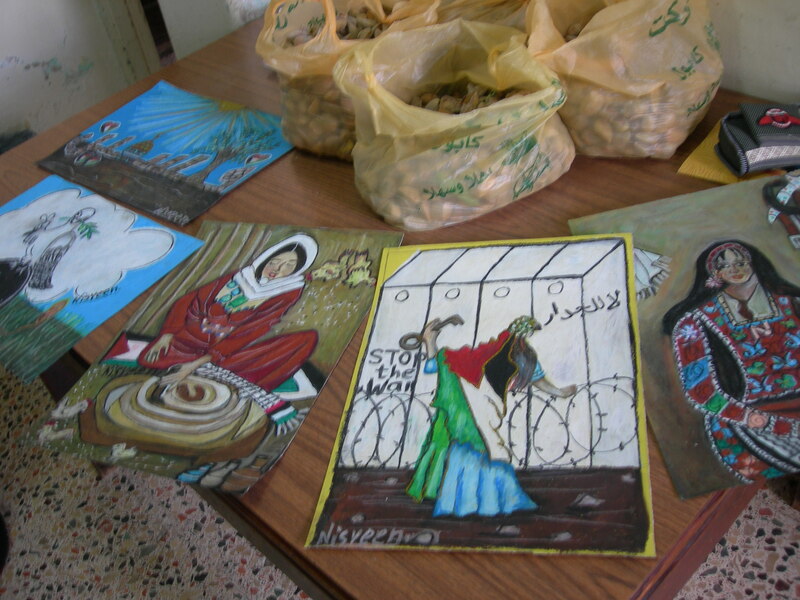 “The settlers poisoned these, and the fig trees, and the olives. 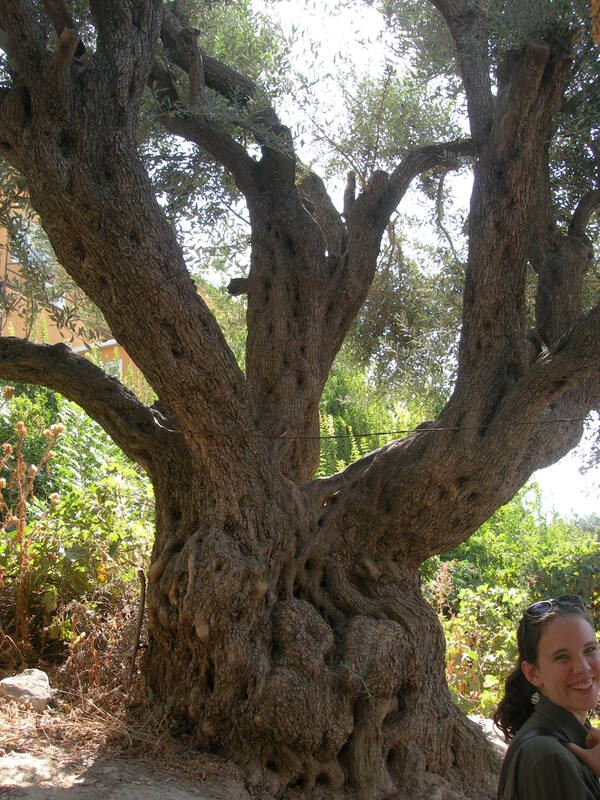 Here, look at this one.” He pointed to a huge olive tree, the largest I’ve ever seen. “We call them Roman olives. It’s 2,000 years old. The settlers cut off it’s largest branch, but we stopped them from doing more.” As we wandered the garden, we saw more signs of sabotage: shriveled fruit, dying shrubs, trees that were cut down to stumps. 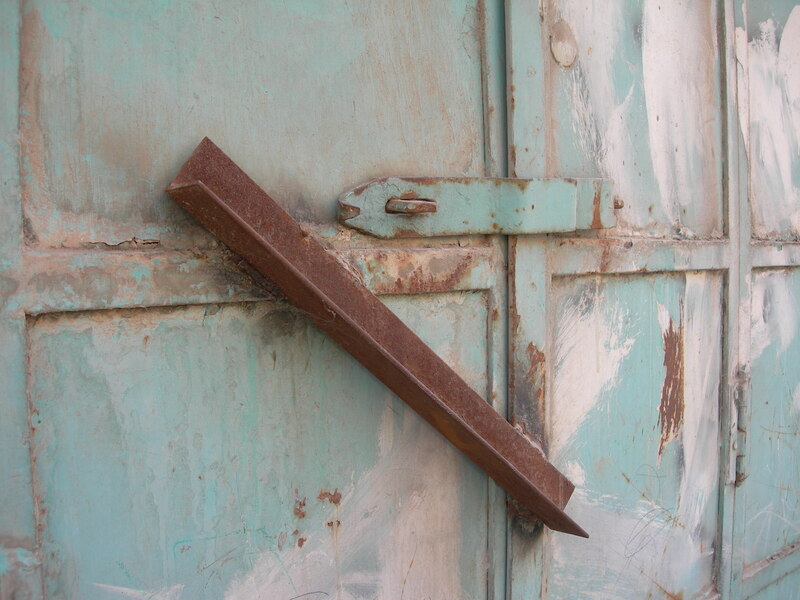 There was broken furniture in the yard, and a bullet lodged in the wall above his door. I was already disgusted, but he went on. “My wife was pregnant in 2009. One day, she came home, and the settlers walked up to her, and they beat her. The fetus died. She became pregnant again. They beat her again, and tried to make it so she couldn’t get pregnant anymore. But, somehow, she became pregnant again. This time, I told her to stay in the house, that I would bring her everything she needs. Thank God, she gave birth in the night. But when we returned home with the baby, there were 50 settlers waiting for us. They beat me, and they beat her, and they even beat the infant My wife was permanently damaged, but we made it inside the house, and my daughter is four years old. You’ll see her now.” And with that, we entered his house. The first thing I noticed about Hashem’s home were the beautiful oil pastel paintings hanging on every wall. The second was a little head poking out of the room on the left. Then it disappeared. “She’ll come later, don’t worry,” Hashem laughed. We sat down in his living room and watched videos while drinking mango juice. The videos were of the settlers: settlers explaining their tactics, settlers throwing rocks at Palestinians coming home from school, settlers screaming at Hashem and his family. In one of the videos, the perpetrators where children: girls in sundresses, shouting curses and kicking their Palestinian counterparts, and young boys waiting further on, clutching stones (here’s a video of one of the settlers, Mirar, training children to attack her Palestinian neighbors. The white building in the video is the settlement right next to Hashem’s house). No more than twelve years old, Yunis walked a little ahead of us, hanging back only when he saw the settler’s children ahead. “They beat him, when he comes to and from school,” Hashem explained. I looked at Yunis again, startled. He didn’t look scared, but he never smiled either, not once during the whole tour. His face was just grim the entire time. By then the sun was descending in the sky, and we needed to get back to Nablus before it got too late. 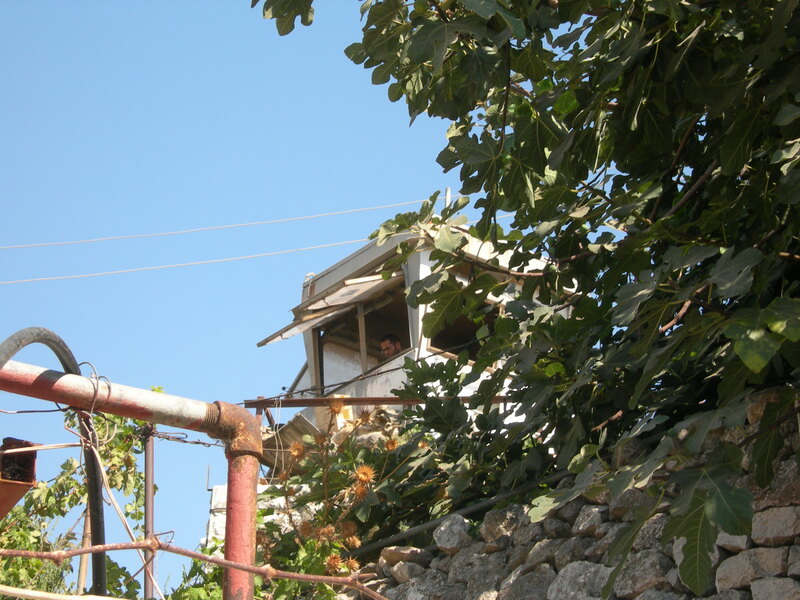 As we walked back the way we came, I asked Hashem if he’d ever tried to escape his detention area. “Yesterday,” he responded immediately. “Because I needed a haircut.” Well, when you need a haircut, you need a haircut. We stopped just before the ledge of a crumbling wall six meters high. “The taxi station isn’t far from here. Just climb down this and you’ll be out of H2.” I banged my elbow on the way down but otherwise escaped unscathed. What Hashem had touched on right before we left is something I find central to understanding the Israeli-Palestinian conflict. This is not a war over religion, nor has it ever been. Religion in this context has only ever been a pretext for a crusade for resources and political control in Palestine (literally since the Crusades in the 11th century AD). Before the Israeli invasion in 1948, there was a large Palestinian Jewish demographic that lived in peace among the Muslims, Christians, Druze, and Samaritans. Today, “Jewish” can mean many things: there are secular Jews, Orthodox Jews, Jews living in Eastern Europe and New York and California, and even people who identify as Christian Jews (seriously)*. According to the Israeli Central Bureau of Statistics, only 75% of Israelis living in the self-proclaimed Jewish state are actually ethnically Jewish or practice Judaism. Many of the settlers themselves are religious zealots from Brooklyn who were hired to wage Israel’s war in a house in the West Bank. So, contrary to popular belief, these communities have little to do with the average Jew. In reality they are an implementation of the Israeli government that serve a political end. The settlers are to the Jews as the KKK are to the Christians, and the ISIS to Islam. Each of these groups claim a religion to justify their terrorizing actions while displaying a blatant disregard for the principles and practices that constitute their chosen theologies. I don’t scare easily. But what I saw today scared me. It scared me first to be near people who were so zealous and cruel that they would beat a pregnant woman into miscarriage in the name of their religion. It scared me to see settlers’ kids, around the age of those I’ve been teaching during my time in Palestine, look at me with hatred that shouldn’t belong to someone so young. It scared me to look at Yunis and realize that he has to see live with these people. And, most of all, I was horrified by the slow realization that this is what Israel is funding and protecting, meaning it’s what Americans are supporting with their tax dollars. Had I not seen it for myself, I doubt I would have believed it. *For more information about demographics and recent history in Palestine/Israel, check out this post by David Sanchez, complete with sources and statistics. We met David in Hebron, which for him is just one stop on a year-long voyage to fifteen countries important to his Peace-Conflict studies. He keeps an excellent blog that’s definitely worth a long look. This entry was posted in Palestine 2014 and tagged apartheid, colonization, Hebron, Israel, occupation, Oslo Accords, Palestine, settlements, travel, West Bank on August 31, 2014 by cambamboutros.